Every time I make herb roasted turkey breast I am amazed at how a simple turkey breast can be taken from good to WOW with the addition of fresh herbs! As a kid, I never had a love for turkey. It was always rather dry and tasteless. As a young wife I discovered the Reynolds Oven Bags which keep meats moist, stop evaporation of juices, supplying more gravy, browning meats to perfection, cutting cooking time, and eliminating basting. And no, I have no affiliation with this company, their bags work great when cooking poultry, and that's why I sing their praises! 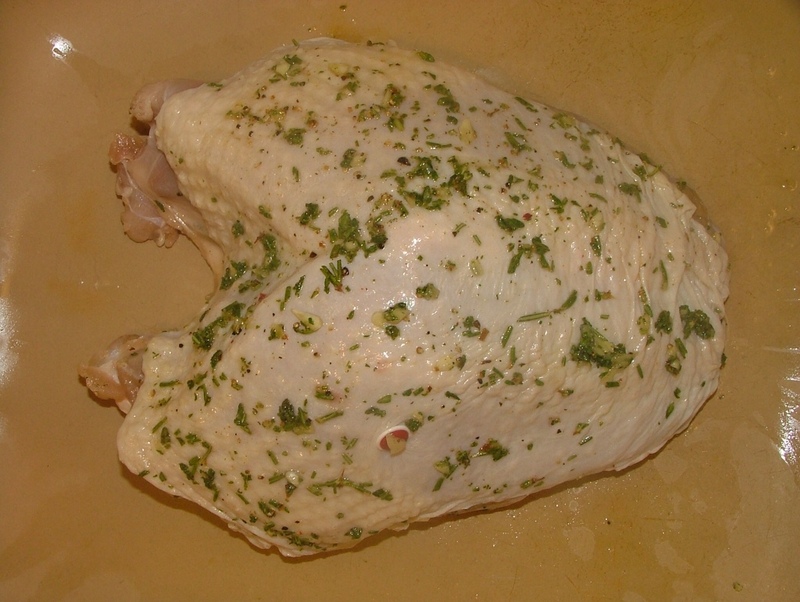 HERB ROASTED TURKEY BREAST - This recipe has been adapted from Ina Garten. 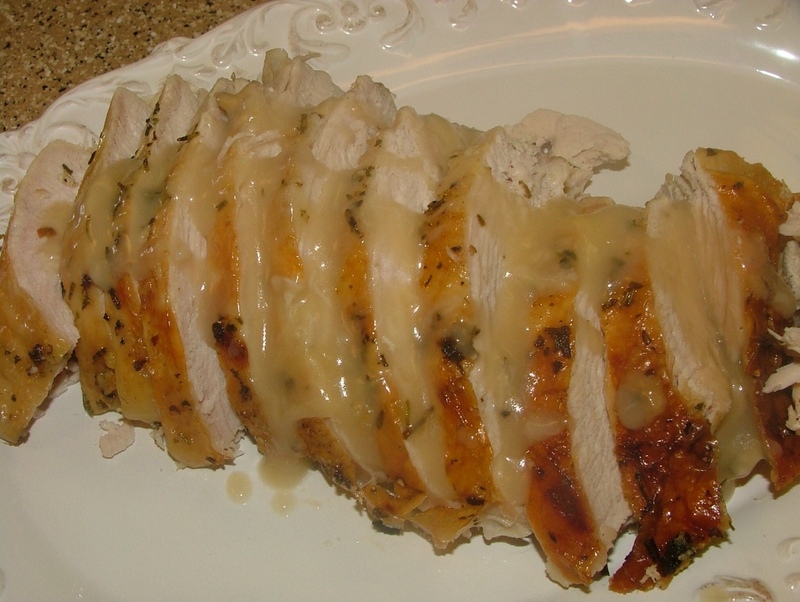 Guaranteed the best, most flavorful, turkey breast you will ever sink your teeth into! Cook Time: 1 1/2 hours. 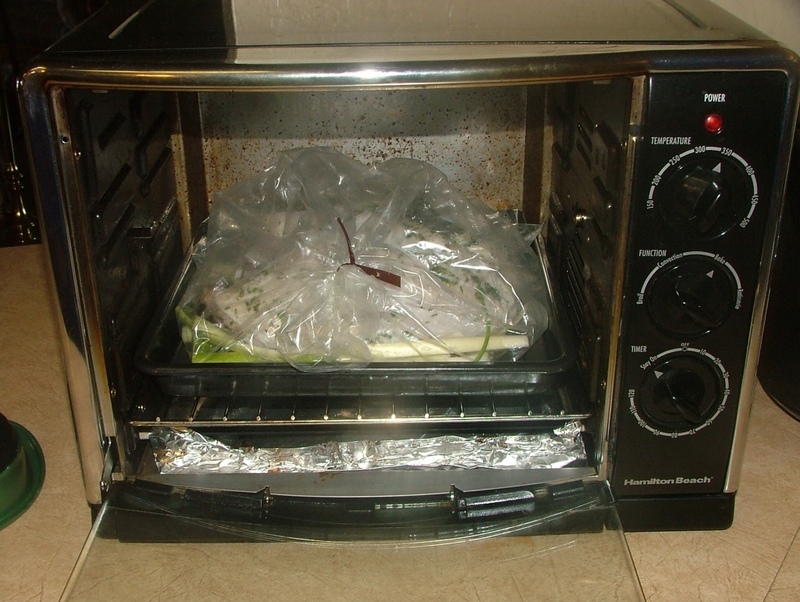 Preheat oven to 375 F.
1 Reynolds Large Oven Bag for meats and poultry up to 8 lbs. 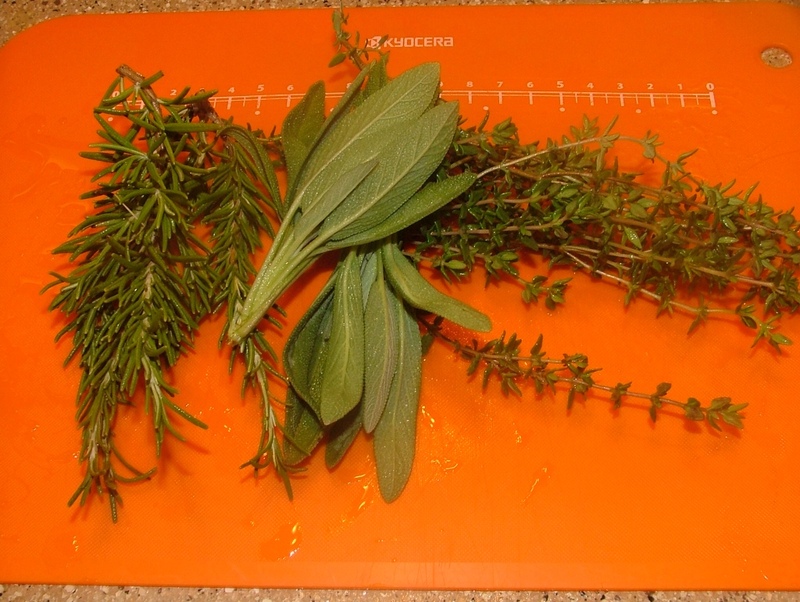 Pick your fresh herbs early in the morning for peak flavor. 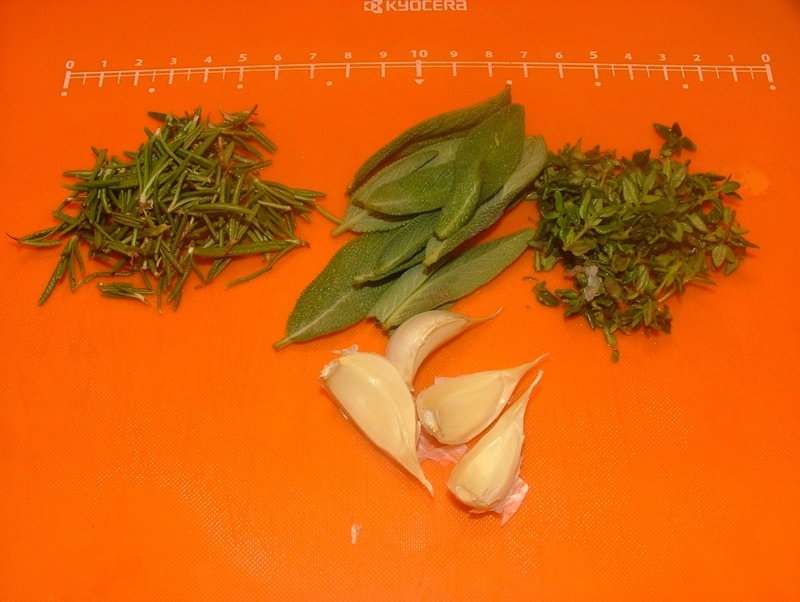 Wash herbs thoroughly before stripping the leaves off their stems. 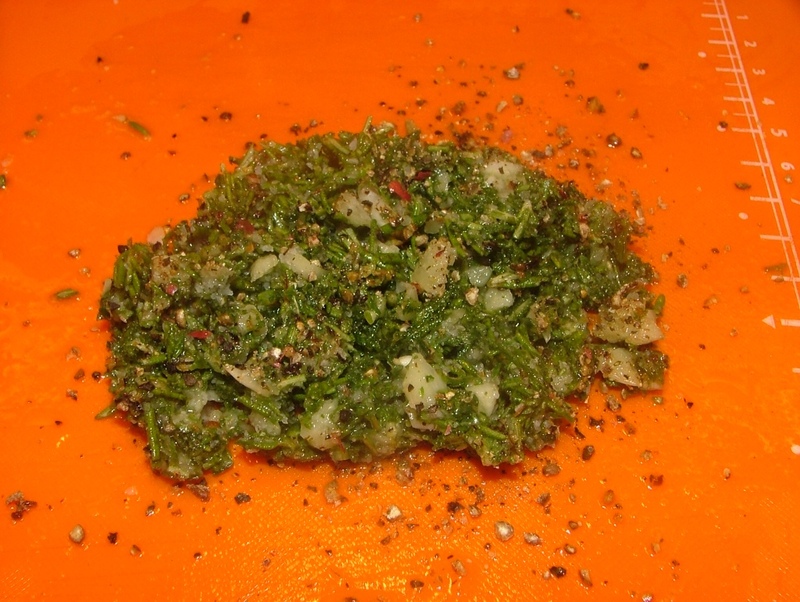 Finely mince herbs, with olive oil, kosher salt and freshly ground pepper. Using the flat surface of the knife, or my favorite meat cleaver, smash the minced garlic, forming a paste. Rinse turkey breast and pat dry. 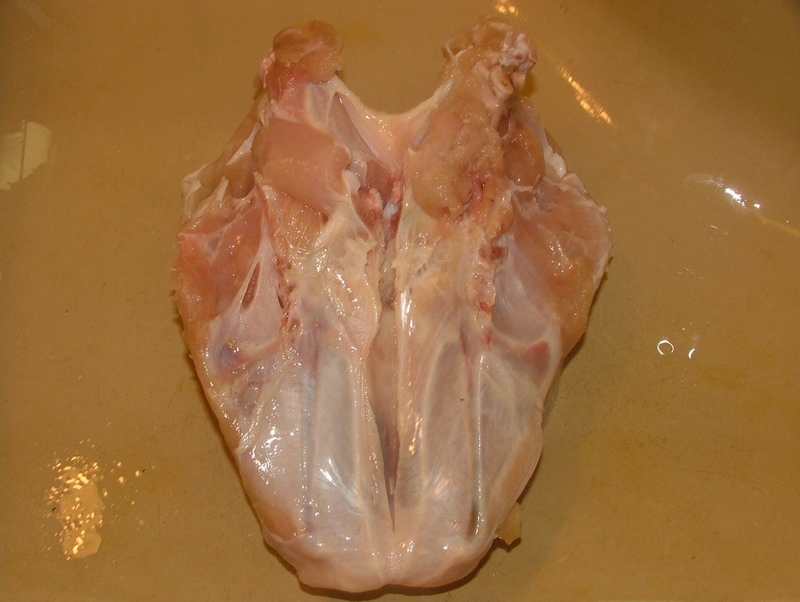 With a sharp knife split the breast bone and remove the small rib bones. Turn turkey breast, skin side up and press down on the center of the breast using both hands, one hand on top of the other, to flatten the turkey breast. Massage the seasonings into both sides, into crevices at the top of the breast bone and under the breast bone along the knife cut. In Oven Bag place 1 tablespoon of flour and shake around. Place bag in a shallow roasting pan at least 2-inches deep. 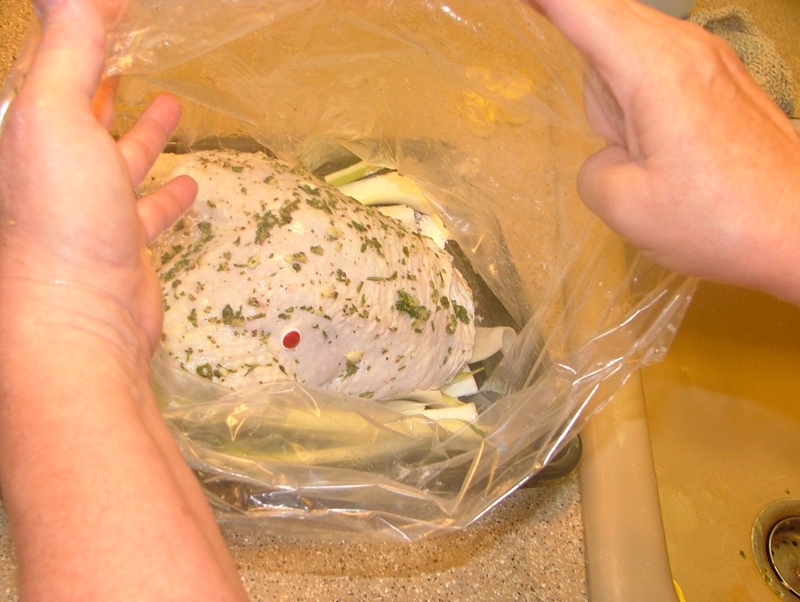 Add sliced onion, a couple stalks of celery or 2 washed leeks, sliced, and washed to bottom of oven bag, then transfer turkey breast into oven bag. With a sharp knife cut six 1/2-inch slits in top of bag to allow steam to escape. Close bag with tie provided. Make sure bag doesn't hang over pan or touch heating elements. Bake in oven on 375F. for 1 1/2 hours or until internal temperature reaches 170F in the thickest part of meat. When cooked, let rest, covered with foil, for 10 minutes before carving. Follow along the top of breast bone between the meat and bone. Cut with a sharp knife to release half the turkey breast, then slice. 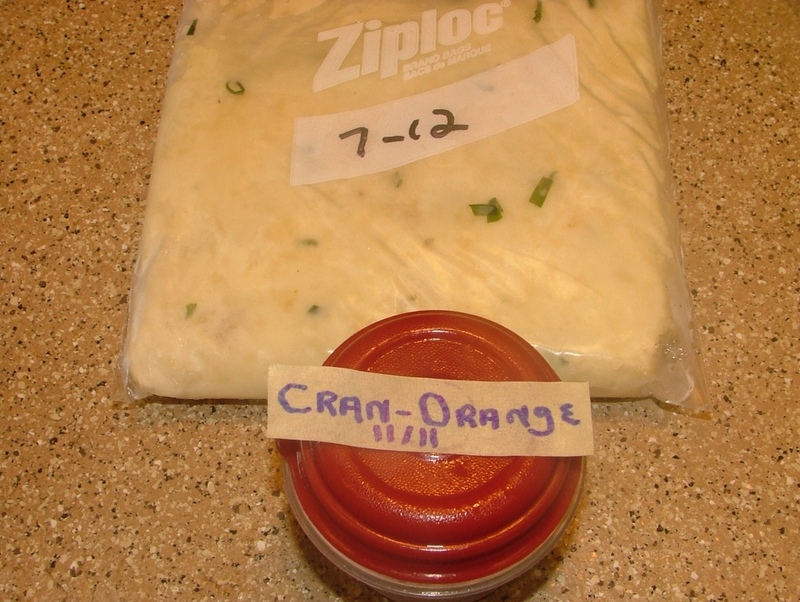 With 15 pounds of garlic chive mashed potatoes in the freezer, that Will made when new potatoes were $1.39 for 10 pounds, and one of my orange cranberry sauces pulled from the freezer, lunch was not only delicious but easy to do . . . Over at Julie's!!! Thanks for stopping by! I so appreciate the time you take to visit me, hope you find this blog helpful and informative. What a nice comment! Thank you for taking the time to share your experience with using my answer to juicy, flavorful turkey! If you pierce the bag with a knife (as per instructions) your turkey will be a deep golden brown and gravy delicious!